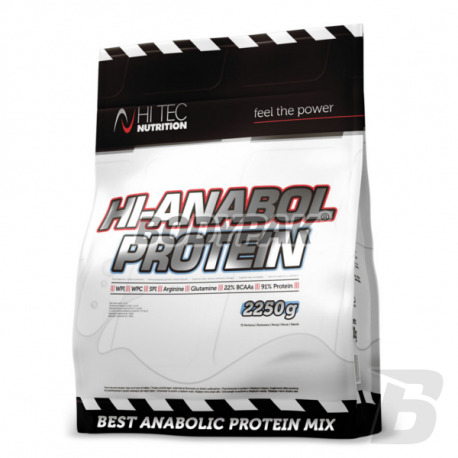 Hi Tec Hi-Anabol Protein is an advanced mixture of WPI, WPC and SPI containing 91% of full value of protein in the dry matter! It increases insulin synthesis, testosterone, growth hormone, thyroxin and also stimulates the synthesis of nitric oxide. The product helps to increase metabolism and build lean muscle mass. After using Hi-Anabol Protein muscles become better supplied with blood, they regenerate faster between workouts and show a significant improvement in strength and endurance. Better regeneration is an important parameter for any athlete - thanks to it you will be able to quickly return to full form and go on another hard training to perform it at 100% of their capabilities! The effect of Anabol Hi-Protein is a significant improvement in nitrogen balance, maximum utilization of reserve fat as an energy source, reducing the accumulation of subcutaneous water and the rapid increase in lean muscle mass, so that the muscles become the density of a silhouette becomes much better defined. Many people did not remember, but soy protein 'turns up' your metabolism higher turnover, stimulates thermogenesis in the body, which enables more efficient burning of calories and with a high content of arginine stimulates the synthesis of nitric oxide and endogenous creatine. Dilated blood vessels is not only an incredible pump effect of training but also better and faster nourishing body tissues. It not without significance here is also better oxygenation of the cells, resulting in a significant improvement in recovery time. 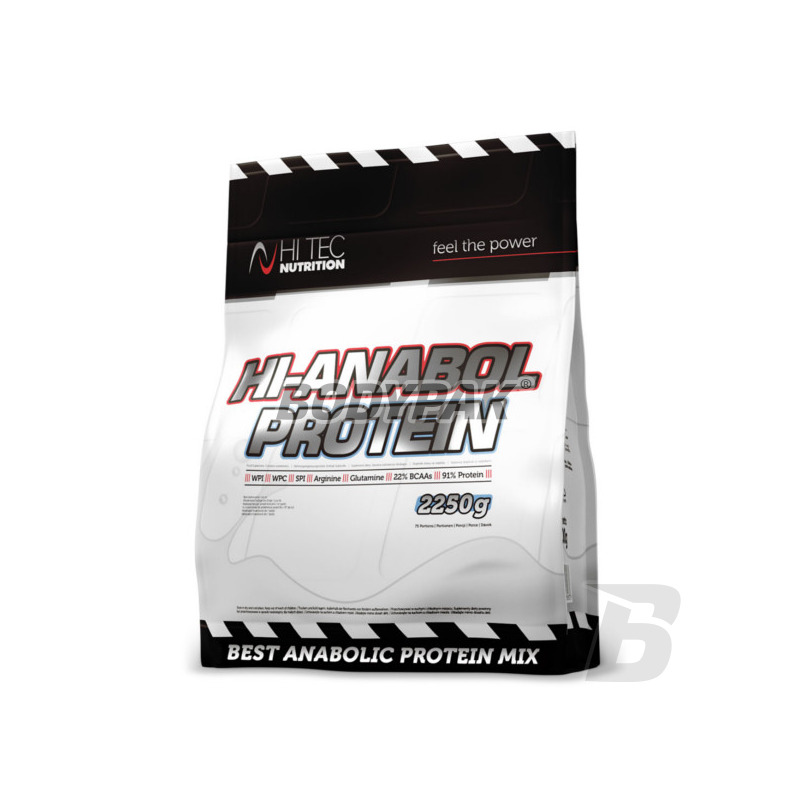 HI-TEC HI Anabol PROTEIN - irreplaceable source of protein in the diet of any athlete! Ingredients: mixture of proteins (consisting of: ultrafiltered protein concentrate whey soy protein isolate soybean (GMO) soy protein isolate whey ) (98 % for all tastes in addition to 93% for the chocolate), cocoa powder with reduced fat content (for the chocolate, peanut cream cakes), aroma, acidity regulator (citric acid), a substance dłodząca (acesulfame K, sucralose) vitamin mix (acid askorbionowy, niacin (amide kasu nicotine), ethyl DL-alpha-tocopherol, D-calcium pantothenate, mono-nitrate, thiamine, riboflavin, hydrochloride porydoksyny, D-biotin, folic acid, cyanocobalamin), emulsifier: lecithin , colors: red beet powder (for strawberry flavor). Sojavit it - the highest quality, pure isolate of soy protein enriched metabolic activators (choline, inositol and L-carnitine), vitamins and minerals, ensuring the normal course of metabolic processes during exercise.